Aluminum nitride (AlN) is beginning to replace alumina as a substrate and heat sink for electronic circuits. The thermal conductivity of AlN, about 8 times that of alumina, is the primary reason for its selection in these applications. While beryllium oxide has even higher conductivity, concerns about that material’s toxicity reduce its appeal. Alumina is easily scribed and cut with carbon dioxide lasers. 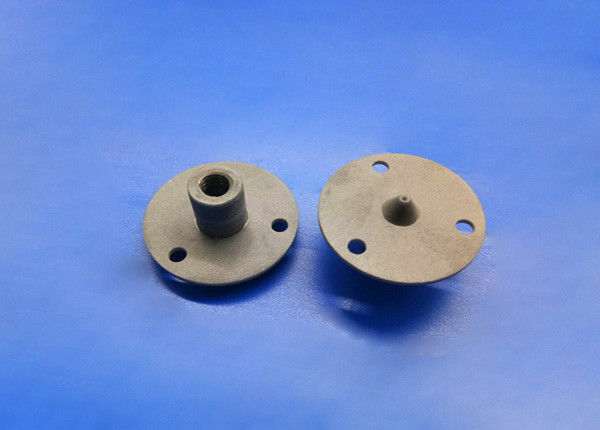 The high thermal conductivity that makes AlN useful, however, makes it difficult to machine with a laser because the material can absorb considerable incident energy without melting or vaporizing. Process settings that produce good results with alumina are not suitable for AlN. It is therefore necessary to develop a new processing regime for aluminum nitride. We cut 0.7 mm thick aluminum nitride sheet with a carbon dioxide laser using a large matrix of process variables and examined the resulting edges for surface quality, microcracking, aluminum deposition and recast. With this information, we defined the volume in process space where effective processing can be accomplished. Heat resistant ceramic nozzle will be wraped in paper first individually, then packed in bubble bags, finally put in standard export carton packing, or OEM packing..